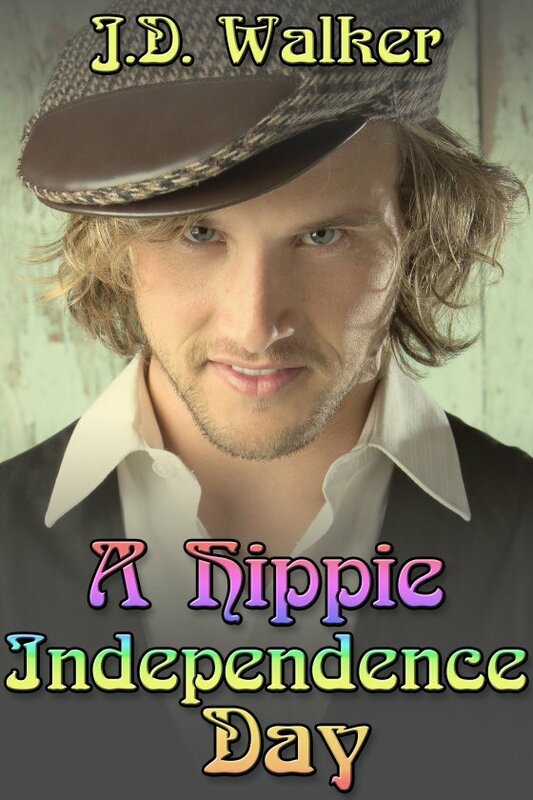 A Hippie Independence Day by J.D. Walker is now available! Better yet, it’s FREE! Benjamin “Ben” Brooker loves Carl Neilson with every fiber of his being. They’ve been together for over a year now, and Carl — he of the hippie hair and bushy sideburns that finally went the way, thank goodness — has made great strides in letting his son Chester live his own life, and finding one of his own. For some reason that Ben can’t fathom, however, Carl is being stubborn about getting rid of his Hawaiian shirts. It’s the only thing remaining from the time when Carl was deathly afraid of change. Ben believes there’s something more going on behind his lover’s stubbornness on the issue, and he’s determined to find out what’s really going on. This Independence Day, Ben will stop at nothing to get Carl to open up to him, and maybe make some fireworks of their own, in the process. Carl was married to the idea that if an item of clothing wasn’t too faded or didn’t have holes, then it was fine to wear out in public. I’d spent the last year trying to disabuse him of that notion, with a modicum of success. At forty-eight years of age, Carl had a grown son — Chester — heading into his senior year of college, who he loved and missed desperately. He was also a counselor at Baden Community College, a position he’d held for many years. Handsome, successful, and a good friend to have in your corner — and in life. Carl also played a mean game of Scrabble. We were both members of a club that met on Mondays. I loved him dearly, but he had a tendency to get stuck in his ways. So it was my job to keep him on track. When we’d met last year at a dinner party that included Chester and his boyfriend — my cousin — Dre, it had been friction from the start. I’d never been the kind of person to pull punches, and I called things as I saw them. Carl, back then, was decidedly behind the times in everything, and afraid of change. It wasn’t that the way he did things, or viewed life was bad. I simply saw that he was hiding behind both his son and the humdrum of routine because of fear.